Thank you Domenic Serravite from IBI Group for discovering this undocumented feature! 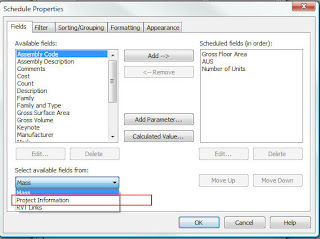 You can access Project Information parameters in any schedule. For instance if you want to have a factor(coefficient) that is used in many different schedules and formulas this is the way. We will use unit planning as an example. You will want a Mass object with floor faces to start. 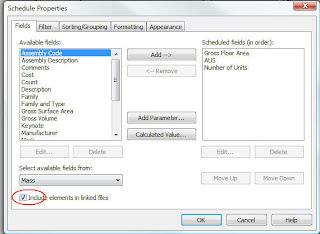 Fill out the new parameter Average Unit Size to a factor like 1000. This represents 1000 square feet. Now you can control centrally important information from one place. This can be done in Room and Area schedules as well. Autodesk is aware that this is confusing and will sumbit it to the development team.